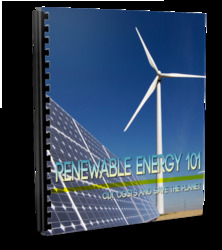 Rees, 1989) provide an analysis of the electromagnetic interference caused by a wind turbine. where ATW is the attenuation between the transmitter and wind turbine (dB), AWR is the attenuation between the wind turbine and receiver (dB), GWR is the receiver antenna gain in the direction of the reflected signal (dB), 10log10(4^a /°2) is the contribution to scattering of the wind turbine (dB), a is the radar cross section (m2). 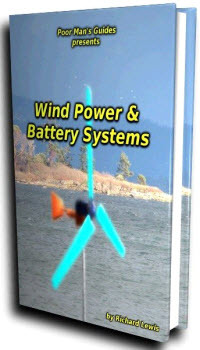 This may be understood as the effective area of the wind turbine. It is a function of the wind-turbine geometry and its dielectric properties together with the signal wavelength. ° is the wavelength of the signal (m). • improving the discrimination factor of the antenna, AG. The carrier to interference ratio (C/I) defines the quality of a radio link. For example, a fixed microwave link may have a (C/I) requirement of 50-70 dB while for a mobile radio service the requirement maybe only 15-30 dB (ETSU, 1997b). Hence Equation (9.25) may be rearranged to define a 'forbidden zone' within which a wind turbine may not be located if an adequate carrier to interference ratio is to be maintained. It may be seen that the 'forbidden zone' is critically dependent on the radar cross section, o. Determination of the radar cross section of a wind turbine is not straightforward and a number of approaches are described in the literature. Van Kats and van Rees (1989) undertook a comprehensive series of site measurements on a 45 m diameter wind turbine. They estimated a radar cross section in the back-scatter region of 24 dBm2 and a worst case value in the forward-scatter region of 46.5 dBm2 (both values expressed as 10 logi0 o). where l is the width of the plate (m). It is suggested that, in the back-scatter region, reflection is only caused by the metallic parts of the blades and so only these dimensions are used in the simple formulae. However, in the forward-scattering region the entire blades make a contribution although this is reduced because of the blade material (GRP) and shape. Hence, Moglia, Trusszi and Orsenigo (1996) apply the simple formulae but with a —5 dB correction for blade material and a —10 dB correction for blade shape (when using the rectangular approximation).